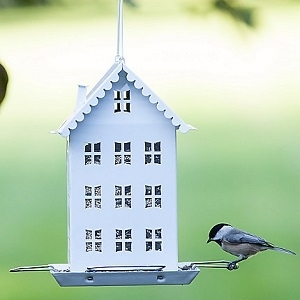 Four U-shaped perches allow birds to feed from every side. Easy cleaning with slide out window panels. Drainage holes keep seed fresh. Attract a variety of birds with up to 2.8 lb of mixed seed or sunflower seed.